First Trailer and Poster for The Spectacular Now. Shailene Woodley, Miles Teller and Kyle Chandler star in the teenage drama from the writers of 500 Days of Summer and based on the novel by Tim Tharp. 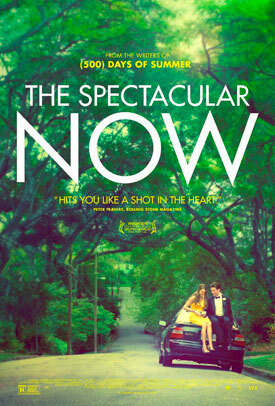 View The Spectacular Now movie trailer, photos and movie poster below. Sutter (Teller), a present-minded high school senior; who is the life of the party, meets Aimee (Woodley), a future-minded dreamer; who is an outsider. They appear to have nothing in common, yet somehow, they’re drawn together. Running Time: (R) for alcohol use, language and some sexuality – all involving teens. MPAA Rating: 1 hr. 35 min. Sutter Keely lives in the now. It’s a good place for him. A high school senior, charming and self-possessed, he’s the life of the party, loves his job at a men’s clothing store, and has no plans for the future. A budding alcoholic, he’s never far from his supersized, whiskey-fortified thirst-master cup. But after being dumped by his girlfriend, Sutter gets drunk and wakes up on a lawn with Aimee Finicky hovering over him. She’s different: the “nice girl” who reads science fiction and doesn’t have a boyfriend. 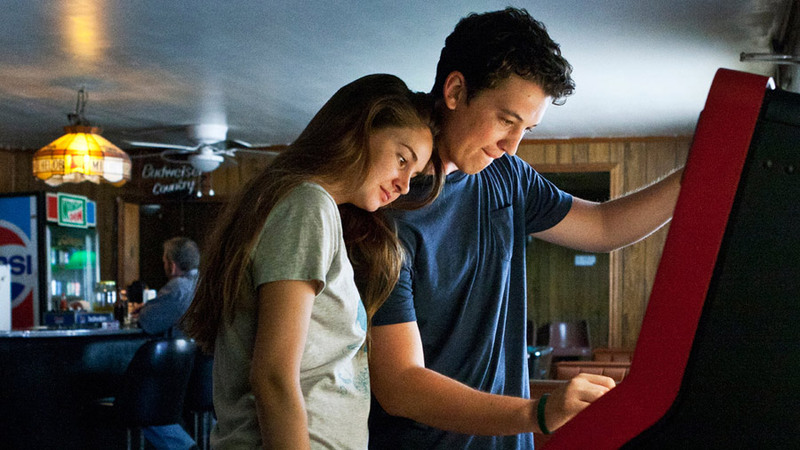 While Amy has dreams of a future, Sutter lives in the impressive delusion of a spectacular now, yet somehow, they’re drawn together.